It’s an exciting few weeks ahead as both the Republic of Ireland & Northern Ireland are competing in Euro 2016. Children in Years 5 and 6 have the opportunity to share in this excitement by taking part in a Euro 2016 iTeach Minecraft Competition to build the Stade de France stadium in Paris where the opening Euro 2016 game will be played on 10th June. Minecraft is currently one of the most popular games in the world. Minecraft Pocket Edition, the iPad app, has been the most downloaded game on the App Store for the last 3 years. It is a ‘Sandbox Game’ which essentially means that users can build anything they want. Children are asked to print a screen shot of their Minecraft creation or email it to their school email address. This is not a compulsory homework task as it is a competition. The homework for Years 5 and 6 this week is to carry out research about their chosen country as part of our mini context focusing on Euro 2016. You may wish to focus specifically on the football team and the history of that team. You can also broaden the scope of your research and focus on different areas such as culture, tourism, etc. Please ensure your research is completed by Tuesday so that we can start our learning. How you present your research is completely up to you. Your homework this week is to change this passage from the first person to the third person. 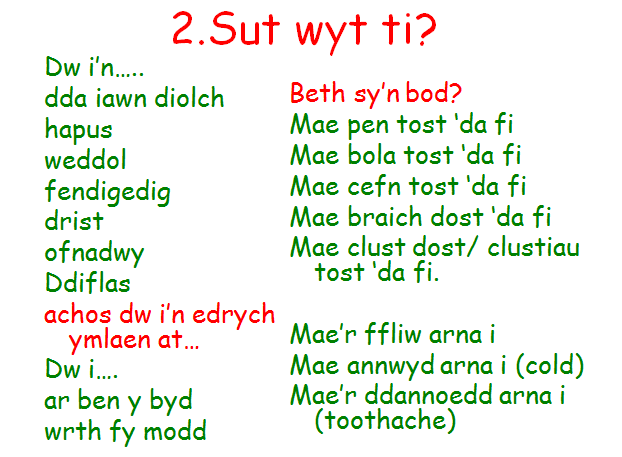 Use what you have been learning this well in your Welsh lessons. If you have the knowledge extend the sentences using a wider variety of sentence patterns and connectives. The homework this week is to learn your script ready to perform your news bulletin next week. You will need to think carefully about your audience and the purpose of your bulletin. You also need to think about how you are going to keep the audience interested. You are welcome to bring any props with you next week which may add to your oracy task. If you wish to record your own version of a news bulletin as a homework extension and bring it to school on a disc you will be awarded extra house points. 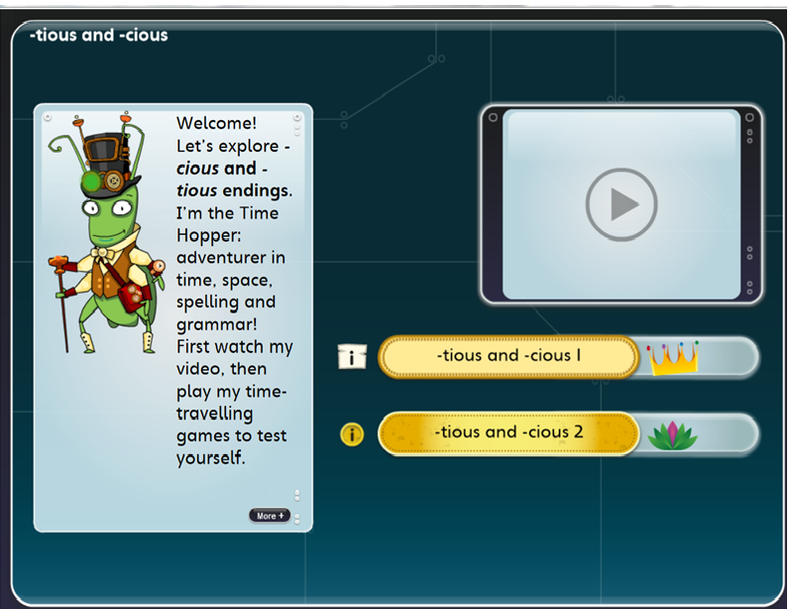 You have also been allocted more Bug Club books on your active learn account. It is really important that you complete the activities linked to the allocated books as house points and awards will be awarded to those childre who complete all activities. Next week is science week and we are going to be astronauts thinking about space. What do you know about space travel? What do you want to find out? Carry out a research task and share your findings creatively. Your homework task is linked to our Let's Fly Topic. Can you write a news bulletin script that we could turn into a news video next week? You have been provided with a modeled example in your reading journals and we have attached the writing example that you have studied in class for information on the Wright Brothers. The modeled example includes a success criteria to help you. Reading: you have been allocated a Bug Club reading book in your active learn account. Maths: You have maths games to complete in your active learn account. Years 5 and 6 Learning Log Task: Fair Trade Fortnight. 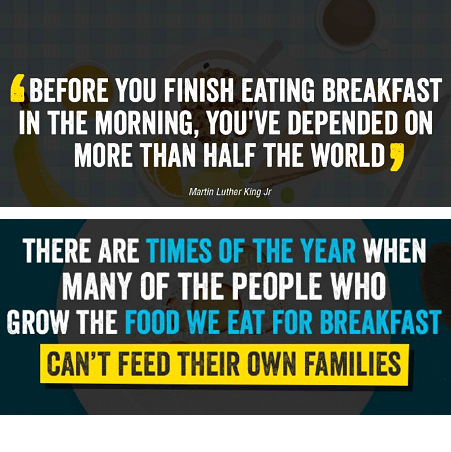 Do you know where your breakfast comes from? This year’s Fair Trade Fortnight is focusing on how breakfast foods come all around the world and that buying fair trade breakfasts can help farmers in developing countries. Task: Find out where your breakfast comes from. 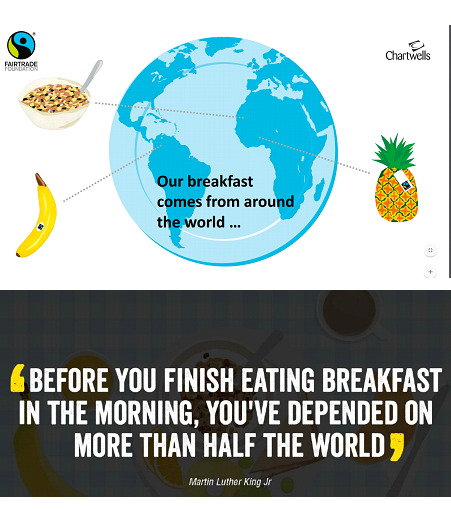 Find out how buying fair trade food for your breakfast helps farmers around the world. Record your results in your learning log. How can you present your research in a creative and eye catching way? 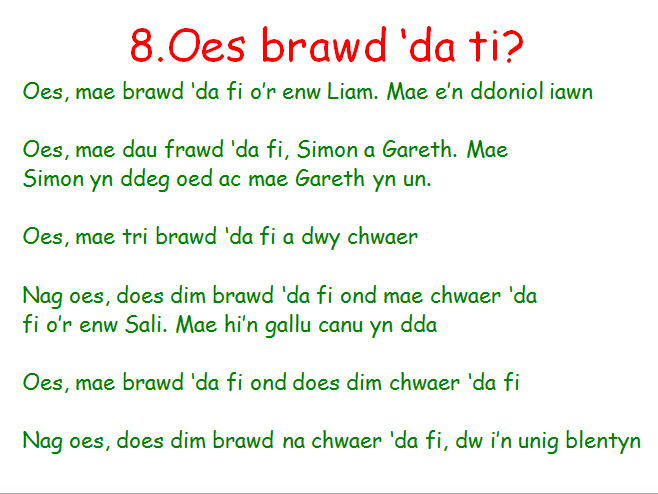 After the half term holiday we will be celebrating St. David's Day with our school's eisteddfod. It is a chance for us to celebrate our welsh culture, heritage and language. There will be various home/school competitions for your children to enter as part of our St. David’s Day celebrations this year. Please could you ensure that all competition entries are brought into school to be judged by Tuesday 23rd February 2016. 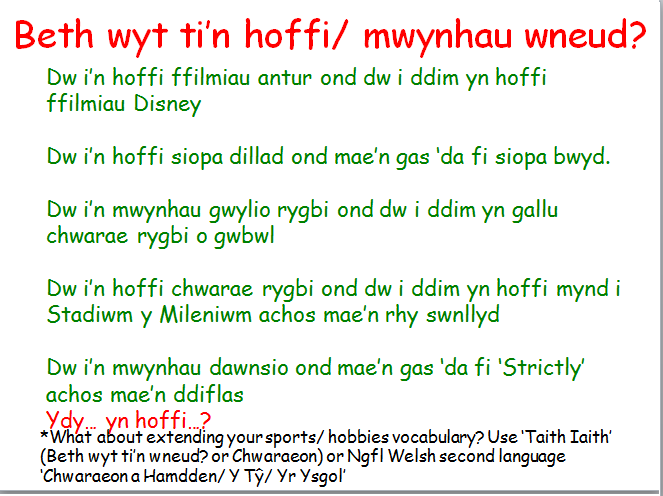 Children are welcome to enter as many competitions as they like, and winning entries will be announced during our Eisteddfod celebrations on Tuesday 1st (KS2) and Wednesday 2nd March (Foundation Phase). The children are able to choose which competition to enter. They are welcome to enter all competitions open to them. There will be house points awarded for every competition entry. 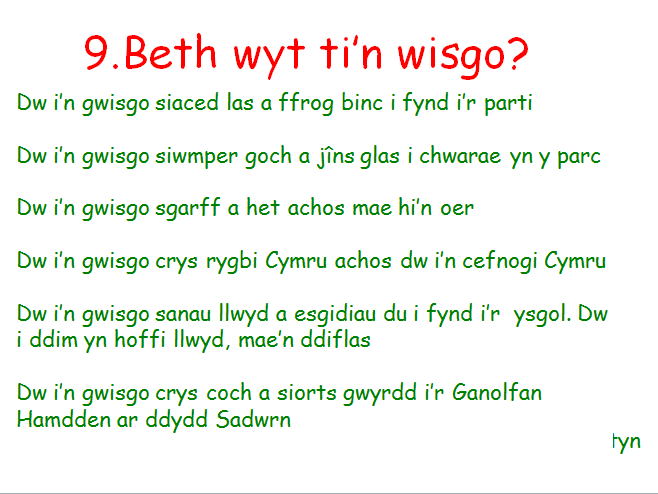 The winning entries will receive house points, certificates and a special Welsh prize. Welsh Learner of the Year-The children are encouraged to use what they have been learning in school to showcase their knowledge and understanding of the Welsh language. 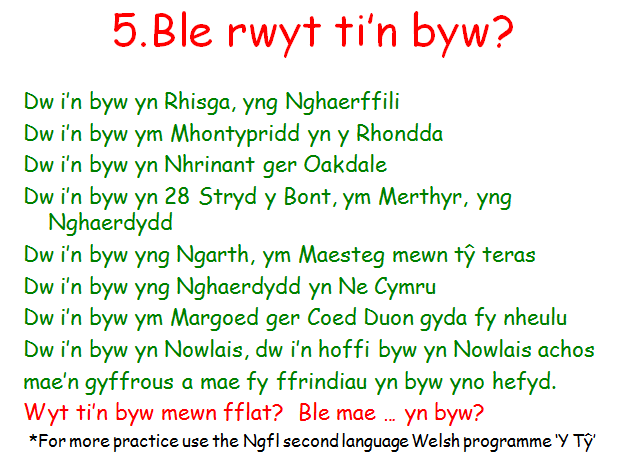 They may choose to write some phrases or sentences, a letter, conversation or celebrity profile in Welsh. 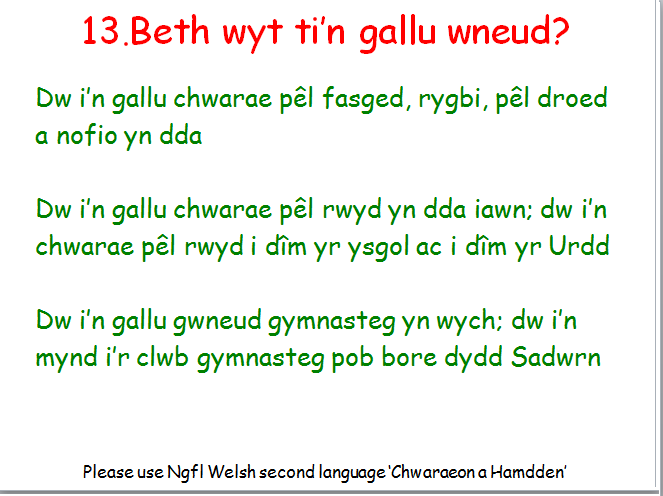 The children must also write a paragraph in English explaining why they think they should be ‘Welsh Learner of the Year’. 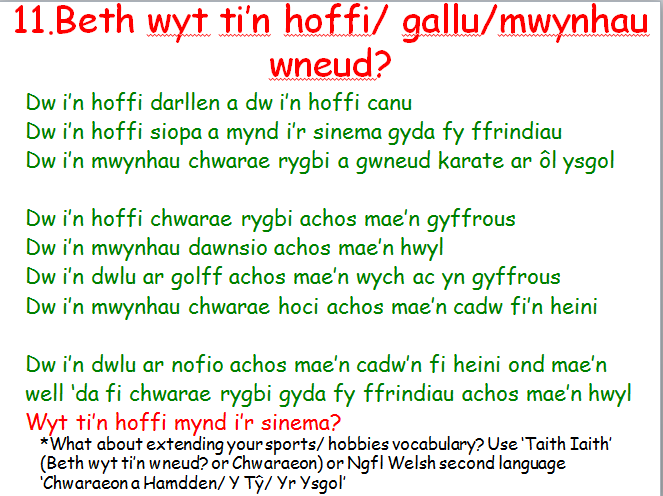 There is a very useful online dictionary on the website bbc learnwelsh which will be helpful when the children are writing in Welsh. 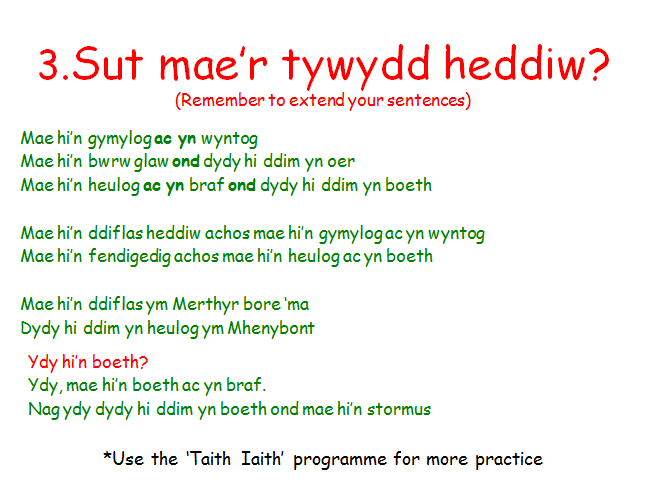 Please use the welsh language sentence patterns at the bottom of this page. Really Rubbish Competition- The children are asked to make a 3D model of a daffodil or rugby ball from recyclable materials. This competition is being run by the Really Rubbish Campaign and our class winning entries will be sent to the national competition. Young Performer Competition- As part of our Eisteddfod this year we are also encouraging the children to showcase their talents. Auditions will take place in class on Friday 26th February. 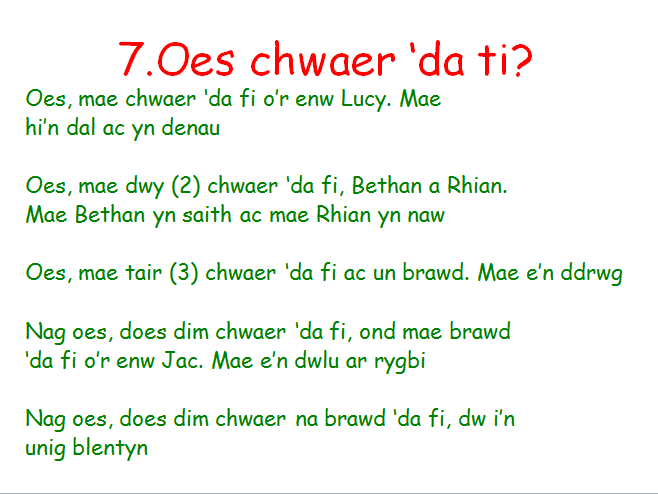 Two children will then be chosen to represent their class during our Eisteddfod celebration. The children may like to prepare a song or dance, recite a poem or play a musical instrument. The children are also encouraged to wear traditional welsh costume or a full welsh sporting kit such as rugby or football. 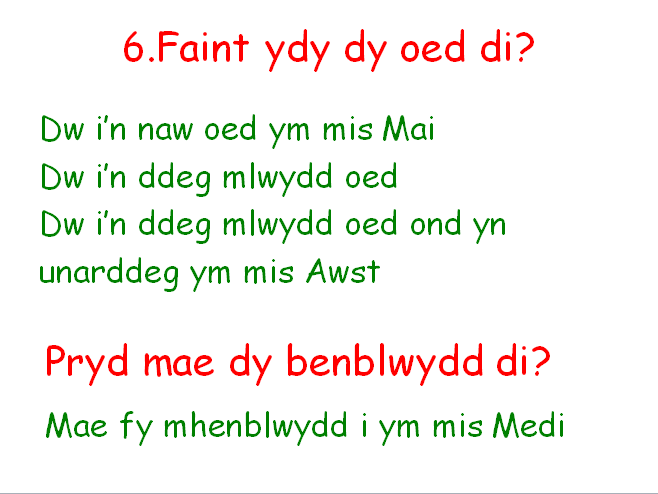 The Eisteddfod is being celebrated on Tuesday 1st (KS2) and Wednesday 2nd March (Foundation Phase). The link below is a particularly persuasive promotional video clip entitled, ‘I Will…Wales’ which combines images of the beauty of Wales with a number of historical and unusual facts about Wales. Children will be asked to create a Photostory, Powerpoint presentation, Microsoft Movie or iMovie (Multimedia Presentation) which depicts and celebrates Wales for them and promotes tourism in our beautiful country. Children are encouraged to think creatively and combine images with facts and background music. The advert may contain images of places in Wales which are special to them or images of Welsh symbols. The children may wish to use some of the facts from the original video or research some unusual facts of their own. Entries will need to be burnt to a disc and handed to class teachers. 2) learn your spelling list. 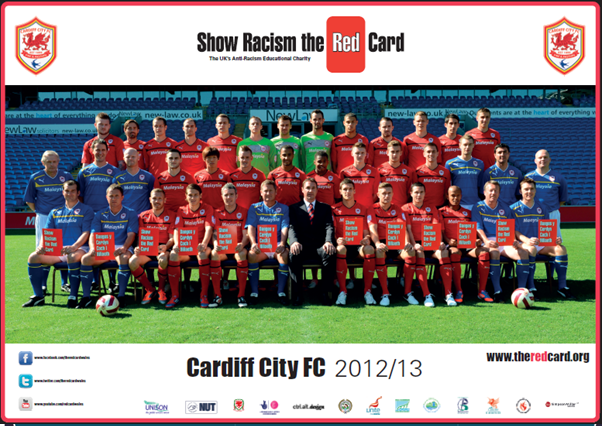 Using the sheet provided, can you design your own t-shirt to help stamp out racism in sport? Mr Griffiths' Set- 3 maths games have been allocated to your account linked to our learning about fractions, decimals and percentages. 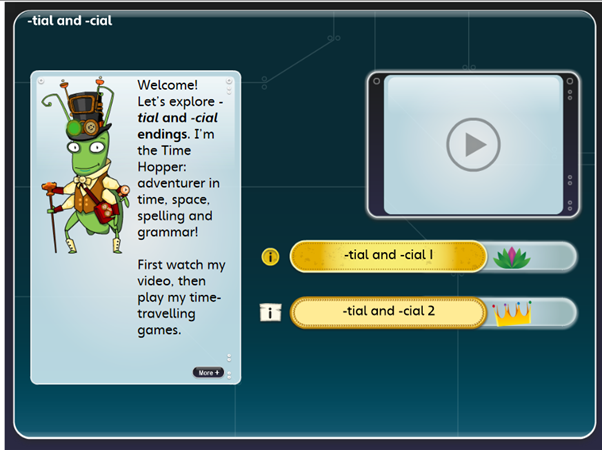 Mrs. Davies' Set- 3 maths games linked to measurements have been allocated to your account. These are due to be completed by Friday 5th February 2016. If you don't have access to a computer at home please ask to use a computer during the school day. 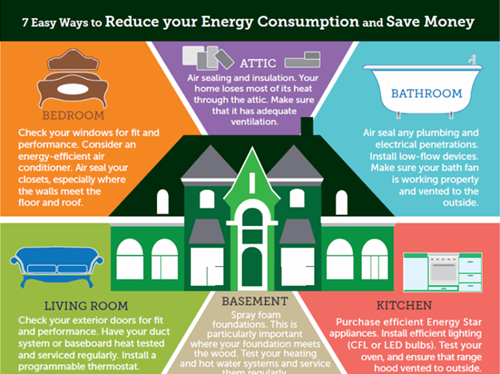 Learning Log/ Poster- How can you reduce energy usage at home? We are learning how to save the planet and the best place to start is at home! Find out ways you can reduce the energy used at home and record it in a creative way in your learning log or in a poster. Maths, spelling and reading books will be set on Monday 1st February. 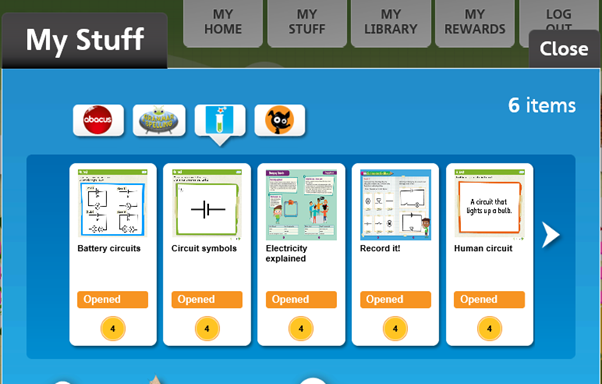 Reading: Science electricity- see pages added to your Active Learn Account with Science Bug. If you do not have access to a computer/tablet at home you can always complete your homework during registration in school. 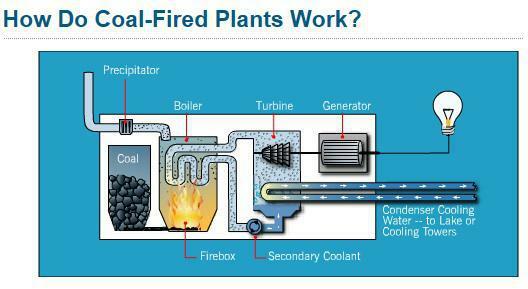 How is coal turned into electricty? We have been learning how to use long division to solve division problems using the bus stop method. you can access videos to remind you of this stratergy in your active learn account. Mrs Davies Maths Set homework. 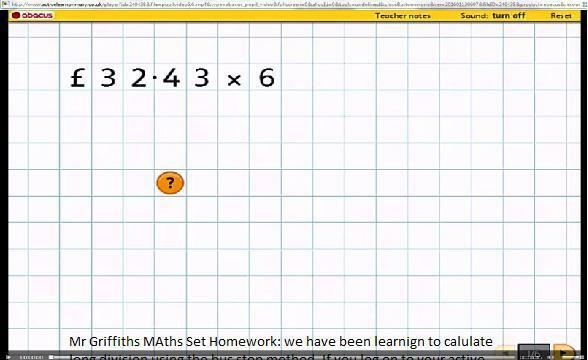 Maths homework: activelearn. Y5/6G features of 2D shpae. Y5/6D Clam collector (see your current allocations. Can you find the solution? Can you find the solution? By end of Term. Complete in Learning Log.